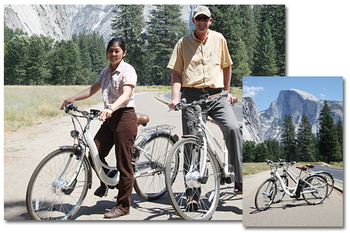 " SANYO North America Corporation (SANYO), has provided 10 of its pedal-assist hybrid electric bicycles, the eneloop bike, to Delaware North Companies Parks & Resorts at Yosemite, Inc. (DNC), the organization that operates hotels, restaurants and activities in Yosemite National Park located in east central California. SANYO, a world leader in environmental green technology, has introduced DNC Associates to a new way of moving around the park without using gas powered vehicles. DNC received both the CY-SPA600NA and the new CY-SPH600NA models of the eneloop bike. 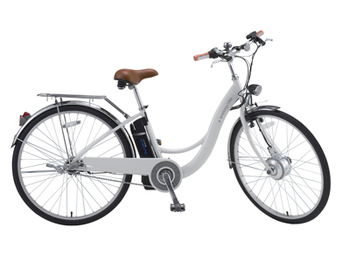 SANYO's eneloop bike (CY-SPA600NA) received the "Best of Innovations" Award in the Eco-Design and Sustainable Technology Category at the 2010 International Consumer Electronics Show.